Clay Snowflake Ornament - Lovely Etc. Hello again lovely readers! I’m back again with another handmade Christmas ornament. This time I decided to break out the air dry clay again. 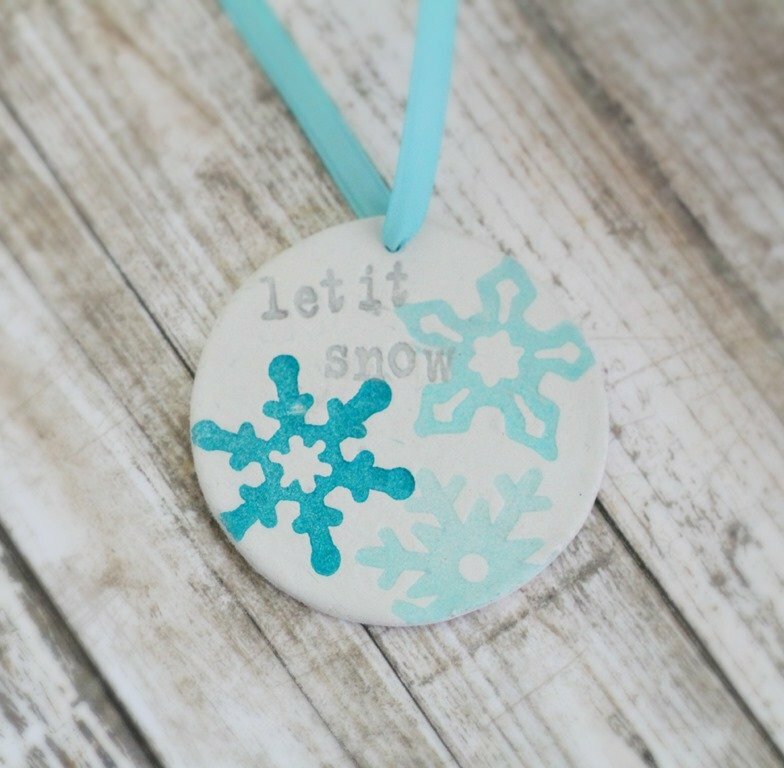 I absolutely love the clay tags and clay cake stand I made recently, so I figured why not an ornament too! stamps – I used snowflake and alphabet stamps purchased from Michael’s several years ago. This ornament is super quick and simple to make. It would even be a great project to let your kids try. Roll out a small amount of clay with a rolling pin. 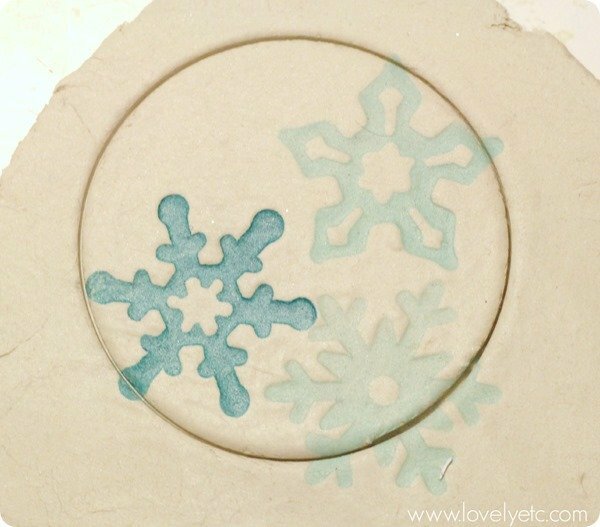 Use a cookie cutter to cut out a circle of clay. Use your stamps and ink to stamp on a design. 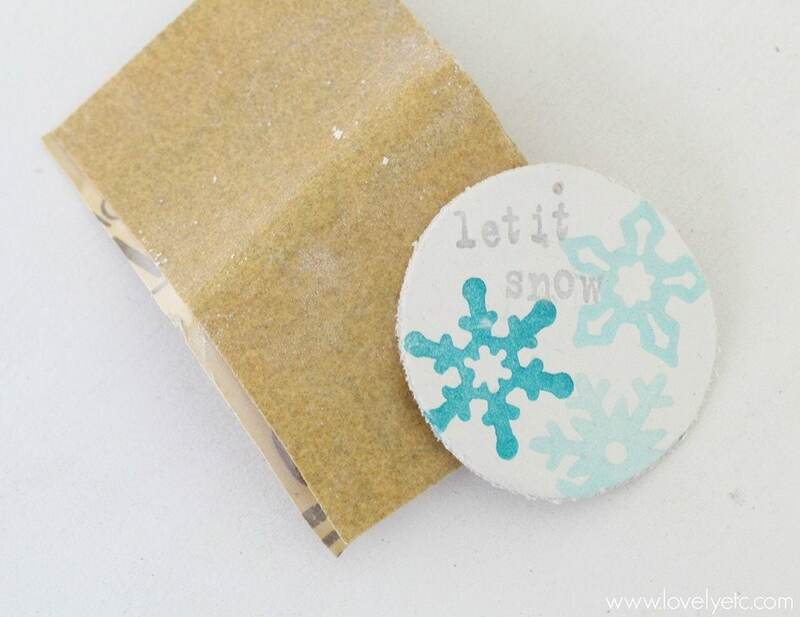 I used several snowflake stamps and then used alphabet stamps to spell out Let it Snow. But you could use any Christmasy stamps you happen to have. Use a pen or nail or whatever is handy to poke a small hole for hanging. 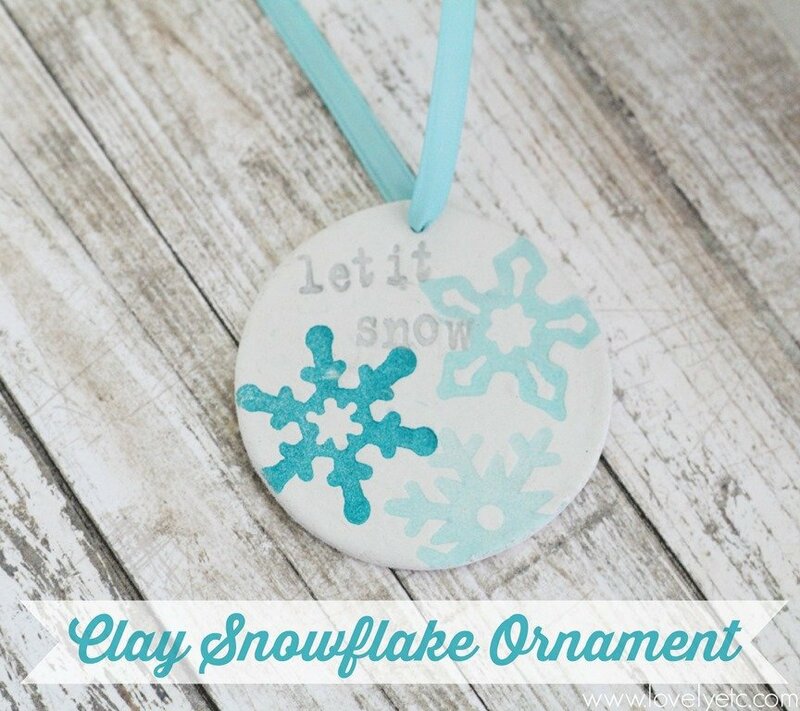 Once your clay has fully dried (usually overnight), gently sand the edges of the ornament with a piece of sandpaper to smooth the edges. String it on a piece of ribbon and hang it on your tree! 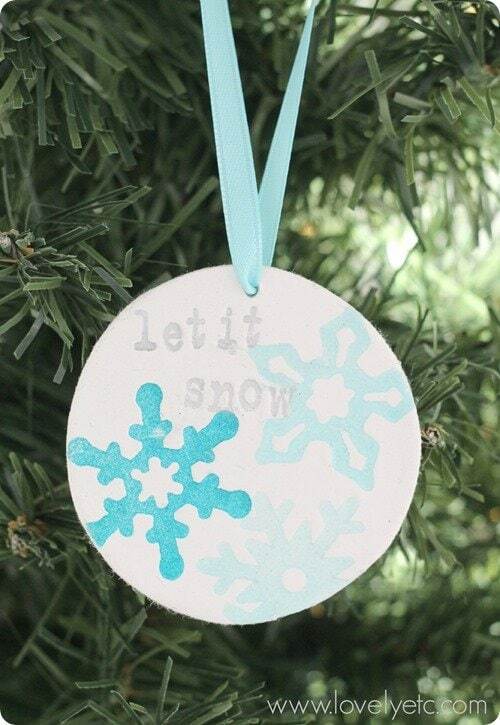 And now here are 11 more fantastic handmade ornaments to try out! 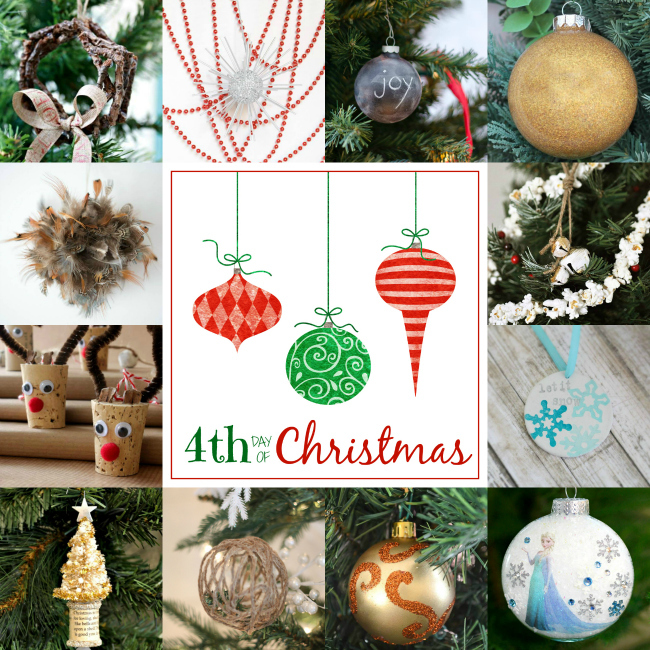 If you are looking for more ornament inspiration, be sure to catch all 12 days of handmade Christmas goodness here. I love the idea of stamping the clay with ink! Genius idea!!! Thanks Linda! I love how these turned out and want to start making clay everything! Love it! I gotta show it to my daughter, she loves to work with clay. Thanks Cristina! Hope your daughter likes it! That is so pretty. Love the colors. Pinning. Thanks Vidya! I pretty much think you can never go wrong with blue! Could you email me what where you get the clay. Like Michael’s or from a pottery studio? I love this idea. Thank you for sharing, I have wanted to do this for a while. I purchased some from Etsy and was wondering how it was done. I ordered my clay from Amazon. It is the kind that air dries which makes it super easy. You could also get clay from a store like Michael’s – most of their clay needs to be dried in your oven but that is definitely doable as well. Plus that type of clay is a little cheaper.